Things to remember when making vegan pancakes switch out dairy for a coconut, almond, cashew, or soy milk. Use a vegan butter brand or you can use some coconut oil when getting ready to cook the pancake batter. Switch out eggs for bananas and rolled oats to give it a consistency thick enough to cook thoroughly. I prefer to add some coconut flour to give it some coconut flavor and fluff. Below is my recipe to some coconut pancakes you will love. Blend the rolled oats in food processor or blender. Add rolled oats along with the Coconut flour into a bowl add some soy milk to the dry ingredients and whisk. Mash banana and then whisk, you can also throw everything into a blender makes everything easier. Now that you batter is ready time to cook. 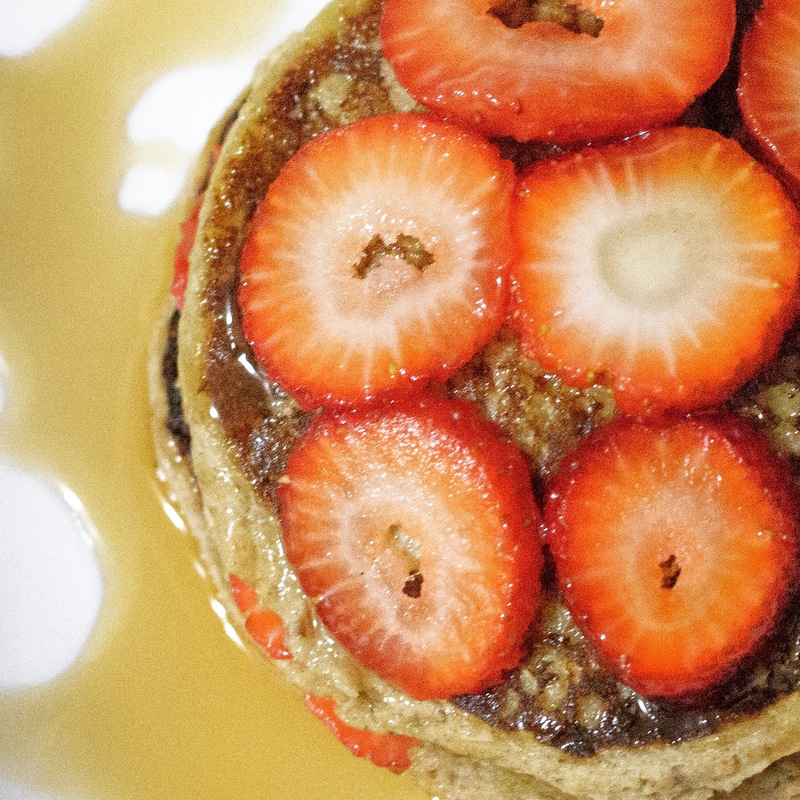 Use vegan butter or coconut oil as a base to help the pancake not stick. Pour some batter let it cook for a bout a min or two or until you see little craters starting to form on each side.